Whether you are buying or selling a home, let us help make that journey easier. 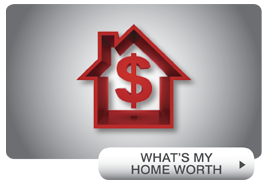 A home is a significant investment. We understand and appreciate how important it is to make the right decisions. Our focus is on doing what's best for each buyer and each seller by providing the guidance and support they need. It's not just another house -- it's your home! Allow us to help you, your family and friends with any real estate needs. Wonderful updated family home on a large corner lot located in the swim/fish community of Old Cahaba. The great room features a vaulted ceiling, wood burning fireplace, crown molding, and opens to the beautifully updated kitchen featuring a breakfast bar with pendant lighting, granite counters, pantry, industrial size refrigerator and tiled flooring. The dining room includes an arched double window and wainscoting wall trim. The master bedroom has a double trey ceiling and walk-in closet, while the adjoining bath has tiled flooring, an over-sized tiled shower, cedar-lined linen closet, and vaulted ceiling. There are 2 guest bedrooms, a full bath, and laundry on the main-level. Downstairs is a spacious play/rec room, a bedroom, and a full bath - could be an in-law suite. Outside is an open deck and patio overlooking a landscaped, fenced backyard with a workshop/storage building. Move-in ready - new roof (2017), new HVAC (2018), new water heater (2018), new garage doors (2018). Wonderful family home with new flooring, interior paint, and beautiful landscaping. The great room features a soaring vaulted ceiling, hardwood floors, and a gas-log fireplace with marble surround. It opens to a formal dining room, also with hardwood floors, crown molding and wainscoting wall trim. The kitchen features new tile flooring, built-in appliances, plenty of cabinets and counter space, a pantry, and a spacious eat-in area. The master bedroom has a vaulted ceiling and brand-new carpet, while the adjoining master bathroom includes a dual vanity, a linen closet, a jetted tub with glass block window, a separate shower, and large walk-in closet. There's 2 guest bedrooms, both with brand-new carpet and a full bath between. AMAZING backyard! You'll love the expansive covered and open patio. Perfect for outdoor get-togethers! The professionally landscaped backyard is completely fenced, has brand new sod and crushed stone pathways. Located only minutes from everything- just move in!